What's different to what they already provide? Just the ability to use streaming services through the decoder instead of an app on a different device? The channel list only has a very select list of Sky channels... I wonder if they are not offering all basic channels. Instead of adding more to the FibreX network why not get Fibre X working reliably first. 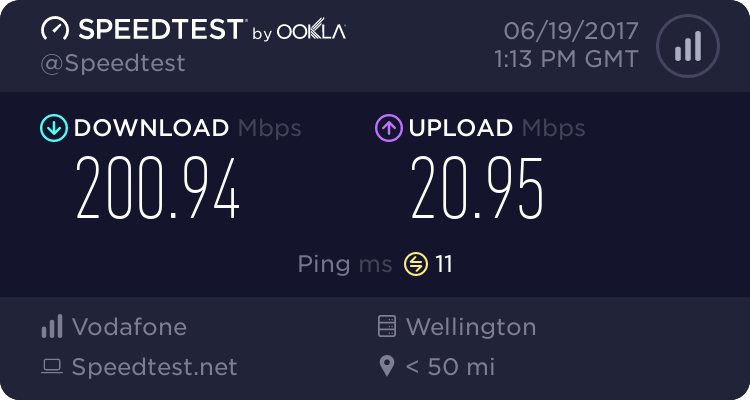 As someone who is enduring slow downs and disconnects weekly ( as I wait and wait for the alternative) it would make sense to fix Fibre X first. Also, Sky Basic is packaged in tacked with addons. The main issue with Sky is not how its delivered it is what it is delivering. The basic package is just low rent repeats, repeats, repeats that repeat repeatedly. What I am meaning is the Sky Service with this new device is still the same, Sky Basic with tacked on addons like Sport, Movies, Soho.... It does not address what is fundamentally Sky's problem. Sky Basic is rubbish,a collection of low values offering that are just a repeat fest. I know this not Vodafone's issue but they are on selling this rubbish. They would have been better off negotiating far better offerings that what they intend to dish up. Except for Netflix it is essentially what VF TV is now but with a new Set top box which hopefully will be a thousand fold better than the current VF TV box. It looks like the TiVo 4K device haha! So am I missing something or does this or does it NOT include Sky Basic? No Food TV, no deal! I have yet to find a decent alternative to Food TV not on Sky. If this is $80 for Sky Basic, Netflix, and Sport, I am all over it (when my Fibre Arrives in Sept 2019!). I'm wondering where it fits with the com com to. There's a bit of a difference between offering service with discount, to offering a service with different experience in my view. All other streaming services can be brought reguardless of ISP, just if you go with particular one can get discounts. This one is locking the service to one ISP. I'm wondering if that software upgrade for mysky's is happening now, plus Sky could lower their costs further if they allowed consumer to provide hardware, rather then them supplying like Netflix, Lightbox have done. rugrat: I'm wondering where it fits with the com com to. ComCom never seemed to have a problem with Vodafone selling VodafoneTV in the past - which was just a different STB connected to the Vodafone HFC network wasnt it? You could never buy VodafoneTV without being on the Vodafone network (and hence it was never offered by any other ISP was it?). Why would this have changed? Sky is providing a wholesale service (as the broadcaster) to the HFC network using Vodafone STB equipment. Are there any barriers to Spark having a similar offering using a Spark STB variant with Sky providing the content? Only commercial barriers - Spark wants to offer Sport, Sky doesnt want to offer Sport without Basic. So no agreement. Vodafone and Sky have had a long standing wholesale agreement from the TelstraClear days. The agreement, if memory serves me, meant that Vodafone have the right but not the obligation to select channels to offer over VodafoneTV and that any channels that it choose that Sky did not want could be included - I think there was a Hunting and Fishing channel that TelstraClear had that Sky didnt want. There are a lot of features within this VodaTV offering that were first announced when Sky said the STB and EPG were getting upgraded.... but Sky [unsurprisingly] never delivered. Why is this anti-competitive in the first place? Just because it's not currently available to anyone else, doesn't mean it's not going to be in the future. Lots of businesses have exclusive relationships anyway.